Our metal free restorations offer a beautiful solution for your dental needs. the expectations of doctors and patients alike. 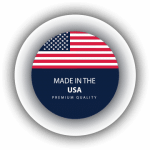 IPS e.max is our material of choice for metal free lithium disilicate porcelain. IPS e.max CAD, an alternative to PFMs and Zirconia-based restorations, combines exceptional esthetics and precision fit. With efficiency and accuracy, IPS e.max CAD restorations can be stained, glazed and crystallized in a single firing. IPS e.max Press is the ceramic glass lithium disilicate we use in our lab for the pressing technique. HT, MT and LT ingots provide a variety of shades and are easily customized with the staining technique. HT ingots are supplied in 16 A–D and 4 Bleach BL shades. HT ingots are ideal for minimally invasive restorations, such as inlays, onlays and veneers, due to their high translucency. The MT ingots are provided in the following shades: A1, A2, A3, B1, BL2, BL3 and BL4. These medium-translucency ingots are used in cases where a brighter material than HT and a more translucent material than LT is needed. Restorations consisting of the MT ingots are ideal for the staining and cut-back techniques. The LT ingots are available in 16 A-D and 4 Bleach BL shades. Their low translucency is suitable for larger restorations, such as posterior crowns. The material exhibits a brightness and chroma that best replicates natural dentin. 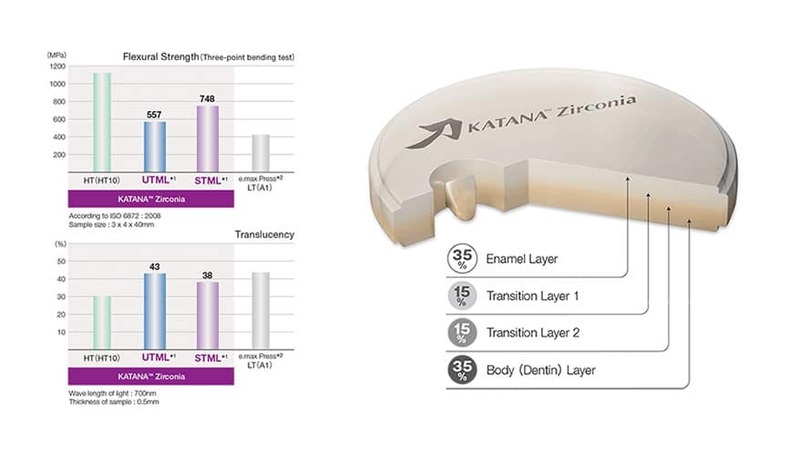 KATANA™ Zirconia multi-layered disc, the innovative multi-layered technology is specialized for fabricating Full Contour Zirconia Crown. Available for a full color variation in high translucency, it helps dental professionals to a higher esthetic level. As expert lab technicians we understand esthetics is important but durability is critical. With KATANA Zirconia, we can create both strong and translucent restorations. Noritake KATANA Multi Layered Zirconia (ML & HT) is a blend of high translucency and pre-colored technology and makes for a beautiful restoration.